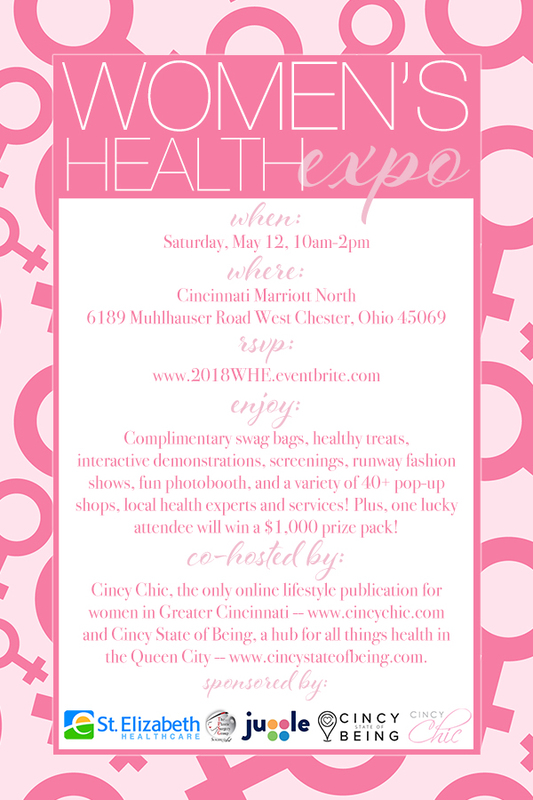 FREE Women’s Health Expo May 12! Our 2018 Women’s Health Expo is coming up May 12 and you won’t want to miss it! It all takes place this year at the Cincinnati Marriott North in West Chester! Enjoy complimentary swag bags, healthy treats, interactive demonstrations, shop local vendors, and watch a fab fashion show! Plus, this year we’re bringing you on-site childcare through Juggle so all the mamas attending can enjoy the event, knowing their kiddos are well-entertained and cared for! (click here to see my review of using Juggle with my kiddos — spoiler alert — LOVED IT!) To learn more about the event and sign up for your childcare reservation, click here: https://2018whe.eventbrite.com. Fashion At Play December 15! My friend Duru at Sloane Boutique in Over-the-Rhine invited me to this amazing event – Fashion At Play. It sounds like so much fun and is an event to raise money for Heritage Elementary Playground! It’ll be held on Sunday, December 15 at the Cincinnati Marriott North from 3-7p.m. The event includes dinner, the fashion show, raffle gift baskets and a silent auction! Runway seating for the event is $50 or $400 per table (8 seats per table). General seating is $45 or $360 for a table of 8. The Fashion show will be presented by Style Edit, Sloane Boutique, Pure Barre Cincinnati, President Tuxedo, Parlour and brideface. You can purchase tickets by clicking here or learn more about the event on Facebook. You can also email ptaheritageplayground@gmail.com for more information!